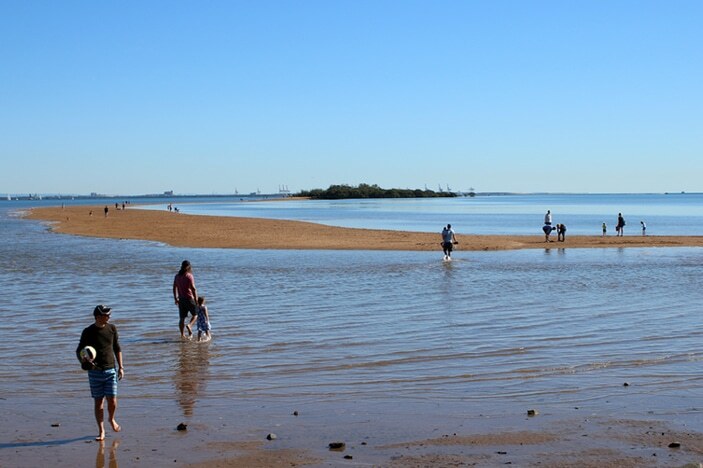 A definite bucket list item to experience with your Brisbane kids is the unique sea walk between King Island and Wellington Point at low tide. 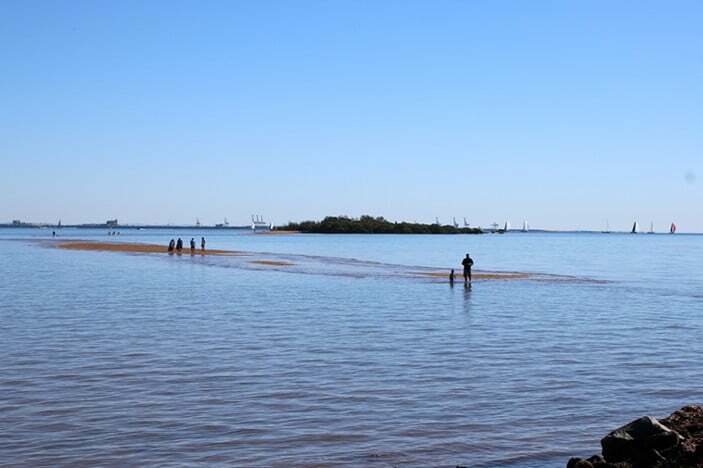 Although popular for its waterside playground and impressive climbing trees, visitors to Wellington Point will benefit from checking the tidal conditions first as its only as the waters ebb away to their lowest point that the natural sand walkway stretching between the point and King Island, situated about 1km offshore, is revealed. 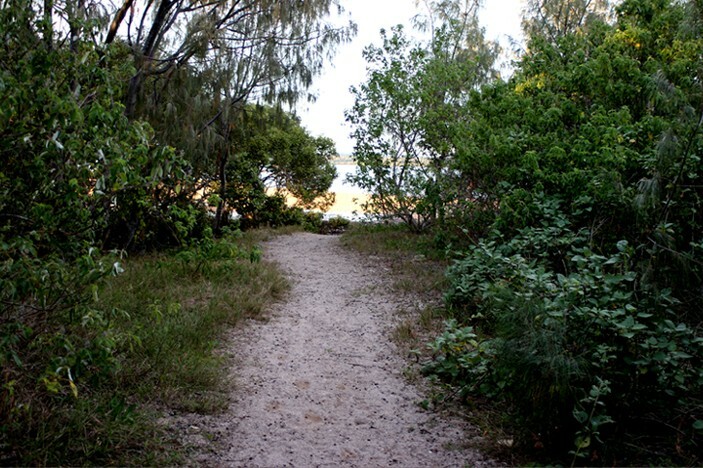 The island itself, now a conservation park, is a combination of sandy pathways alongside twisted trees and surrounded by mangroves. 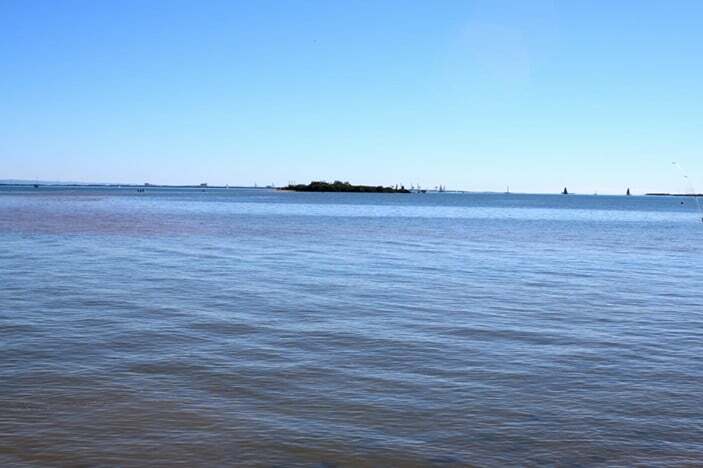 Although uninhabited now, the island was once the home for a family for medicinal reasons in the early 1900s and plaques set up on the island tell the story of the two years they lived there in a temporary dwelling on a sand dune. A letter from Mr Philips to his sister Jo is in the possession of the Wynnum Manly historical society, depicting their life during the brief sojourn on the island. 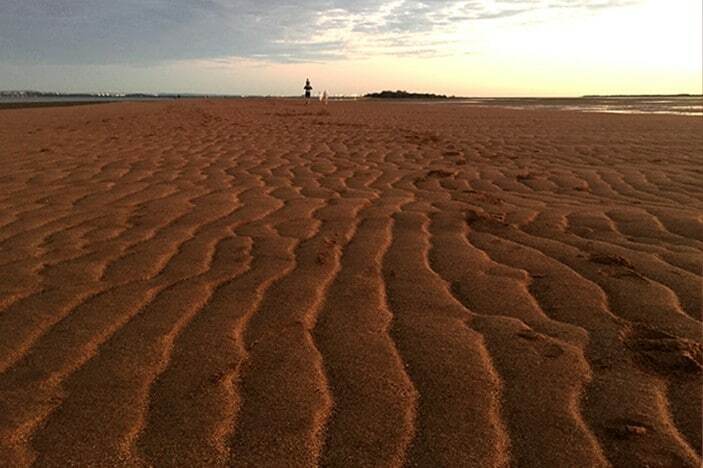 Although the island is only small this experience is really all about the journey itself. 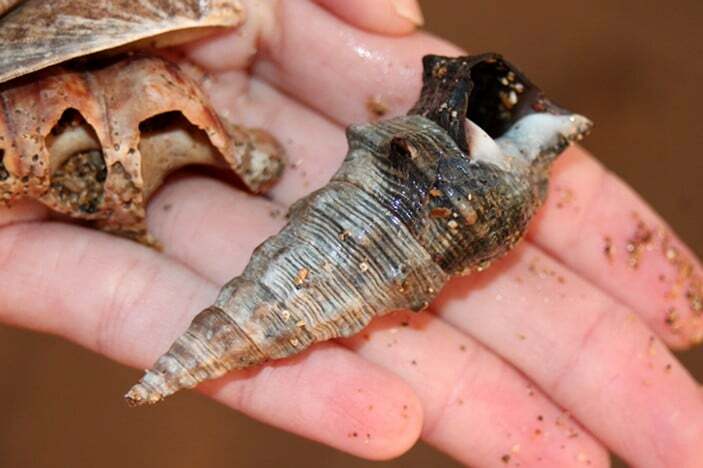 The 2km round trip is suitable for all ages and is much loved by kids in particular as the retreating waters leave behind a pathway that is usually littered with an array of different marine life such as curling shells and small mud crabs just waiting to be discovered. 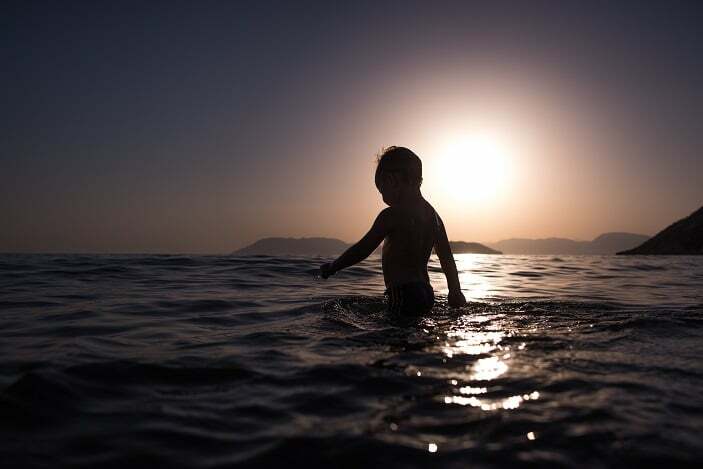 Although it is important to keep an eye on the tide to make sure you don’t lose your pathway back, many people and children who are a little older like to make the trip as the path starts to dwindle – half paddling / half walking the route. Be sure not to leave it too late or the tide will come in and you will either have to swim back or plan a longer stay on the island!!! 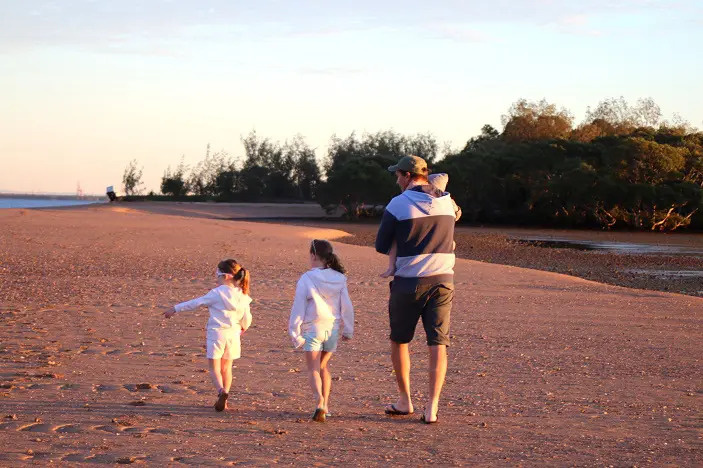 Here are all the things we wish we knew before walking to King Island with our kids. Timing your trip for when the low tide falls close to sunrise promises you not only a spectacular view but also a prime car spot. As Wellington Point is popular for many reasons the car parking spots during the day can fill up fast so getting there as the sun comes up means you can pretty much yell dibs to any spot you like. 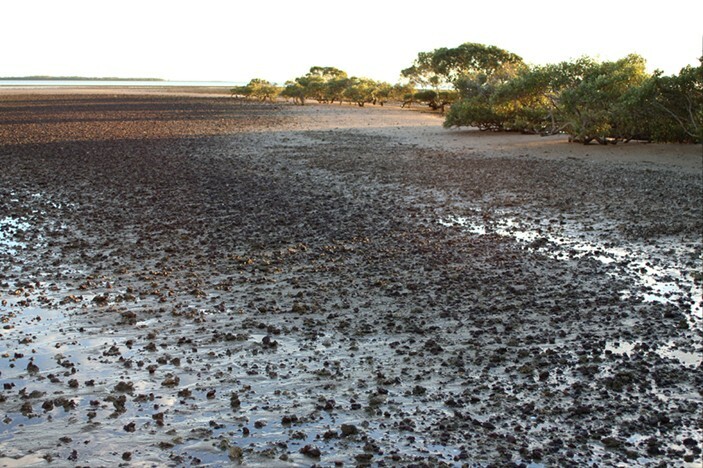 You can check out high and low tide times for Wellington Point on the Willy Weather site. Also as mentioned earlier, don’t leave your stay on King Island for too long to allow plenty of time to get back before the tide gets too high. 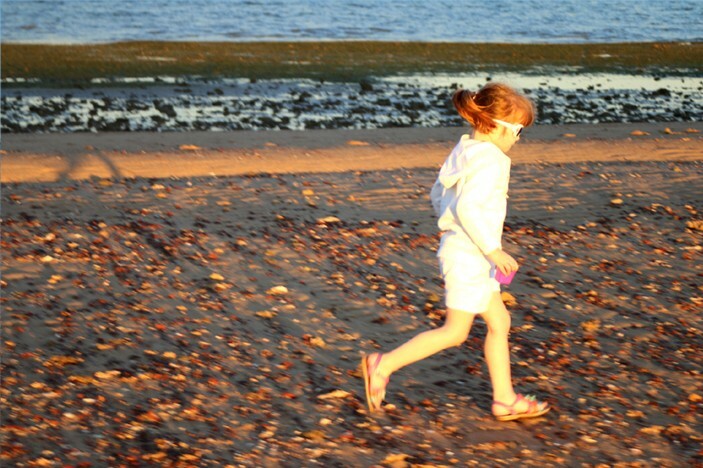 You will see lots of other families who will begin to move back as the tide comes in, if you are anxious then just leave as others are leaving. 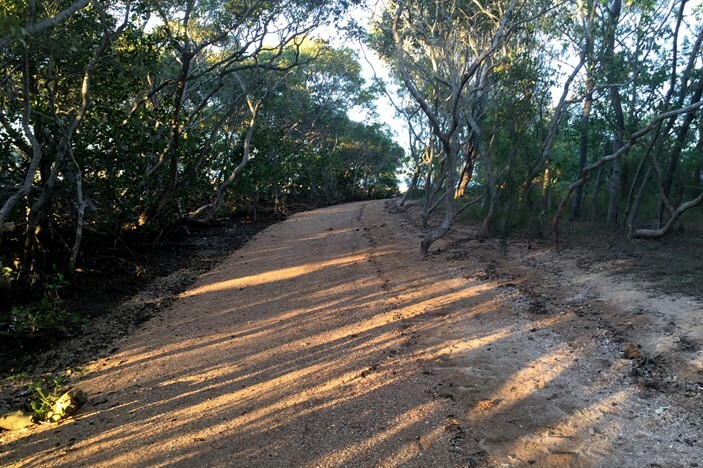 It’s also a good idea to make sure you apply plenty of sunscreen and wear some suitable water shoes/thongs. 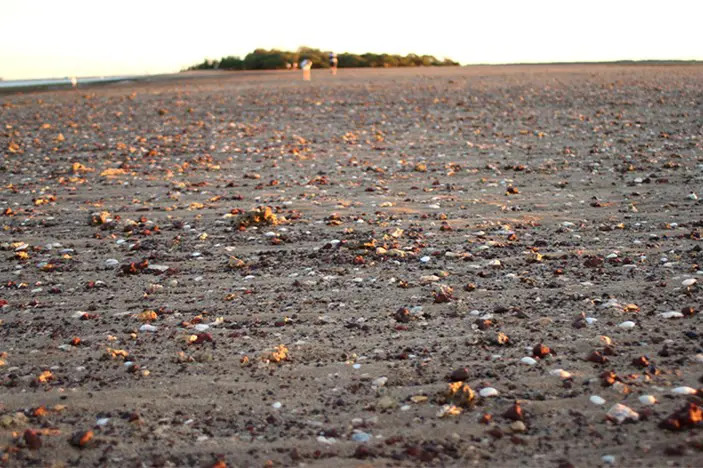 The walk is quite exposed to the sun and the pathway can get pretty thick with shell grit as you get closer to the island side. If you have a canine friend then a weekday walk is the best option. Dog walkers are allowed to bring their pets (on leash) for a run during the weekdays only. 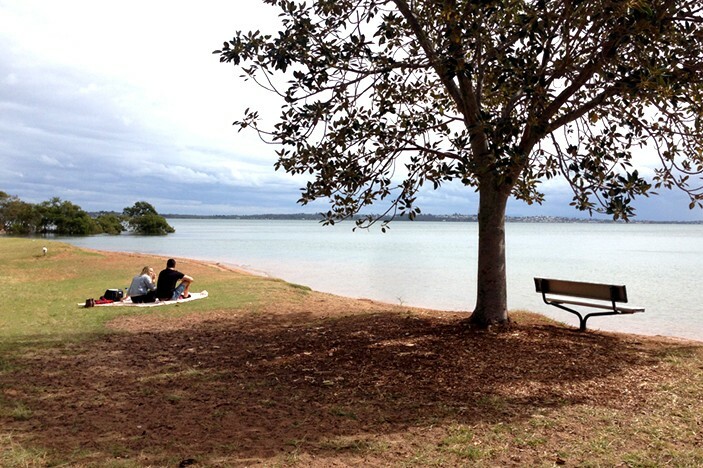 Whilst there are a couple of good cafes at the point and nearby, packing a picnic is always a winner. 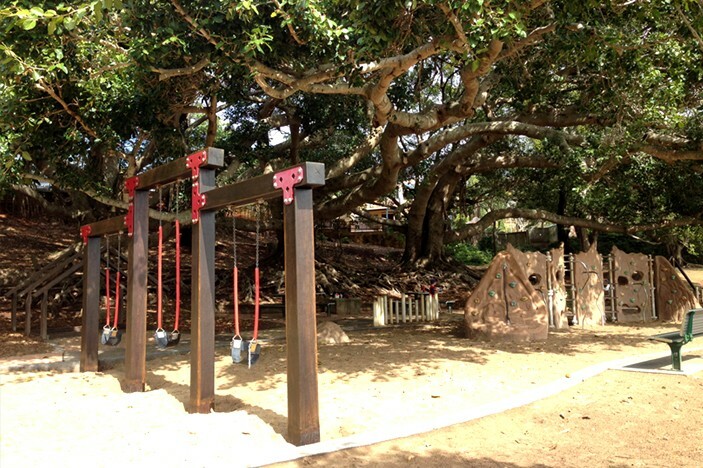 The huge park in the centre of the point makes for the perfect place to laze around under the huge, shady fig trees. 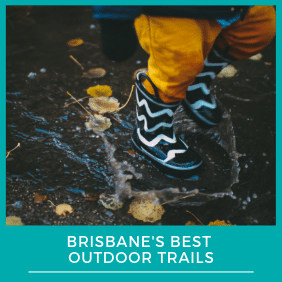 Take along some buttered bread and sauce and order some chips for a quick chip sandwich with the kids – although watch out for those ibises aka bin chickens! Make sure you pack your swimmers too! The small beach that runs alongside the playground is a great spot for the whole family to cool down in the warmer months. The water is calm and shallow enough for the first few metres for small children to enjoy some safe water play. 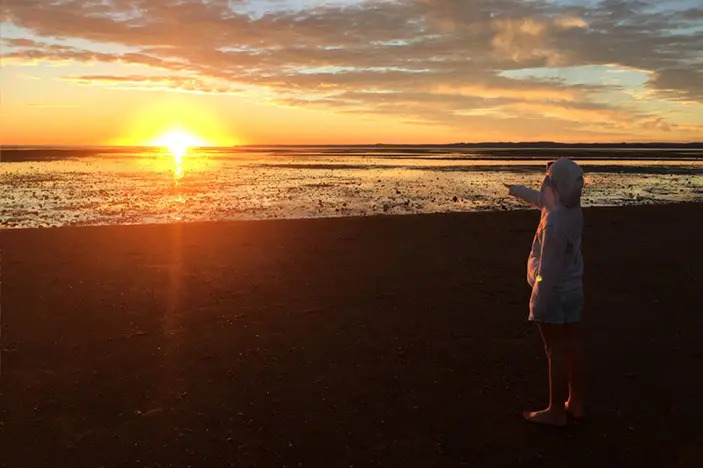 Now, for those that have gained a love of all things Pokemon Go – it appears that Wellington Point is a hot spot for the animated little creatures. So if you have a Pokemon fan in your family…be warned the place is laden with them! So what are you waiting for? Check the tides, pack a picnic, grab some swimmers and prepare yourself for a wonderful day out! 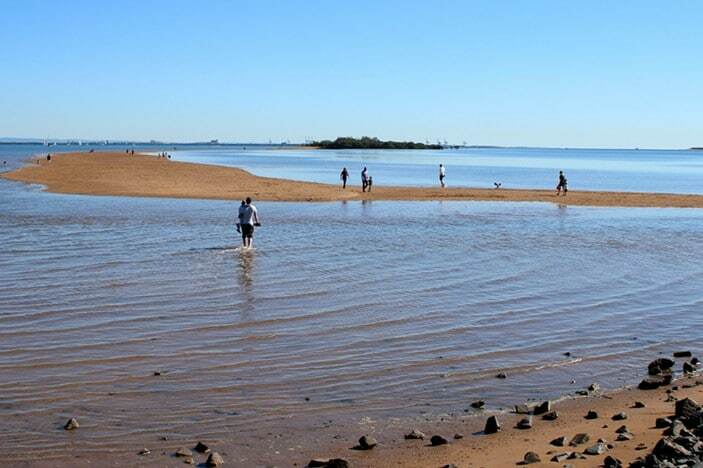 I am 72 now and first lived at Wellington Point from the age of about 7. Loved it then and still do just as much. 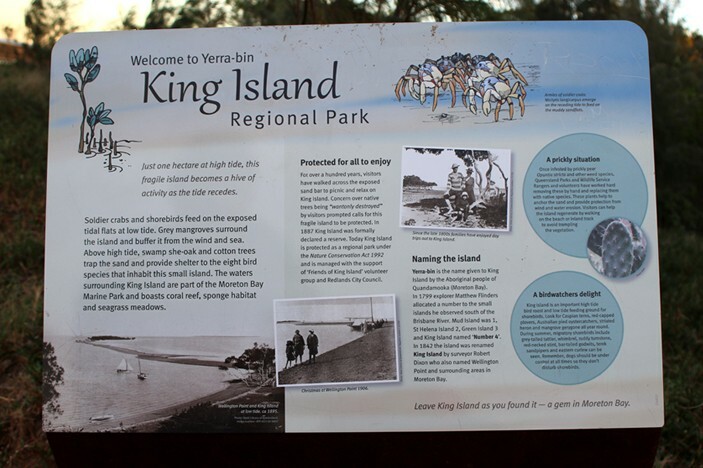 Always walked to King Island, went swimming every high tide and even went diving off the jetty over the other side of the Point. Would die if my Grandkids did that now but we all reckoned it was safe then and OK as long as Parents did not find out. Got caught a couple of times thanks to a neighbour who told Dad. Old party poop!! 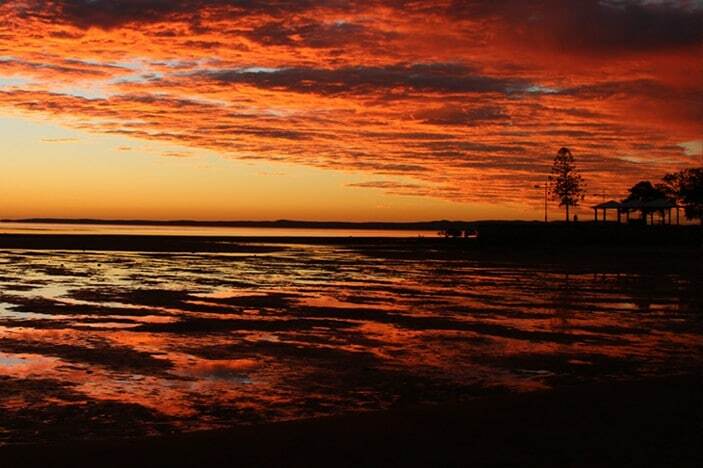 Best place on earth is Wellington Point.